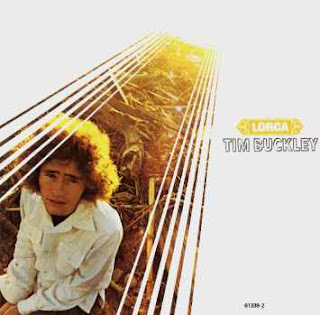 Recorded in the midst of his most experimental and prolific time as an artist, Tim Buckley’s Lorca album is the musical bridge between the loose jazzy troubadour stylings of the Blue Afternoon and Happy/Sad, as well as the haunted cosmic residue of Starsailor, the revolutionary 1970 recordto follow. Lorca is the axis in which the natural progression of Buckley as an artist rests. Recorded at the same time as Blue Afternoon, Lorca contains compositions that would not sit comfortably on that particular record. Instead, the project is filled out with time-period specific live tracks from Buckley’s 1969 residence at the Troubadour. Blue Afternoon felt to Buckley like a step backwards, regardless of its melodic strengths in comparison to Lorca. The recording becomes a fitting conglomerate of where Buckley had been and where he was going. Lorca’s collection of experimental music acts as the platform in which Buckley’s jazz-folk sensibilities begin to develop the free-form attitude later fully expressed in the strange and atmospheric Starsailor. Named for the avant-garde poet Federico Garcia Lorca, the album begins with the loose 5/4 time of its title track. Lee Underwood’s ominous horror-soundtrack keyboards introduce a dramatic, rhythmless groove that’s gently pushed forward by a spectral pulse, initiated by Buckley’s acoustic plucks and a sliding, warm standup bass. The lacy spider web of a song trembles, moving through the listener as opposed to remaining accessible to the listener. Buckley’s voice is the central instrument, his mastery of tone drawing out the emotive quality of the title track. His ghostly vibrato and provocative moans paint a lush narrative, imbuing the lyrics with rich vibrant colors. Gone is the pop music format embraced by the majority of Buckley’s contemporary songwriters, ushered in is his flowing high-tide framework of composition, where the melodies collide, brushing the shore and then dispersing into themselves in a wash of foam. Lorca and the subsequent Starsailor have been accused by critics of being strange and self-indulgent. My opinion is: When you are a developing artist of Buckley’s caliber, you create regardless of boundaries and preconceived ideas of what music should be. Lorca ought to be hailed for its innovations and reckless abandonment of labels and expectations. Buckley used his debated four-octave vocal range to act as another improvisational instrument. Similar to critics of Yoko Ono, these atmospheric and strange uses of the human vocal chords, stretched to their limit, are often puzzling to listeners confined by normal expectations and conventions. The second track 'Anonymous Proposition' uses tone color and resonance to express human emotion, sensitivity and eroticism through sound. Buoyant with silence and space, the song rises like the gentle breast of a beautiful woman in slumber. 'Love me as if someday you’d hate me,' is the opening line of the song, vocally draped over the starry-night accompaniment. 'Anonymous Proposition' is transparent, comprised of broken light dispersed through a vibrant stained glass window. Created by Underwood’s clean scurrying interjections and Balkin’s erratic woody bass bumps, the music swirls into a sensual keyhole glimpse of aural eroticism. Buckley’s voice is soothing, mysterious, leading the musical changes as a central instrument, soothing the delicate emotions created by the hypothetical sonic union. This is powerful soul music, developed without pretense, art in the truest sense, designed to elicit response and draw out emotion. The remainder of Lorca is made up of a series of three live tracks making their premiere appearances. Mixing in these songs with the album’s initial high-flying experimentalism was, alas, a misguided attempt at straddling accessibility. The fact is, Lorca was still entirely misunderstood by critics. The initial long-form movements reveal Buckley as he was quoted; 'finally me, without influences.' The additional songs, while still powerful, harken back to Buckley’s folk roots yet still retain a loose forward-thinking experimentalism. The moody and atmospheric 'I Had a Talk with My Woman' returns to the traditional format of Buckley’s earlier compositions, with a melody easily grasped and an intimate narrative plainly expressed. “Driftin'” is an extended percussive mantra, wrapped around a sneaky Underwood guitar line. The ambiance of the live recording is seamless in the context of the record. 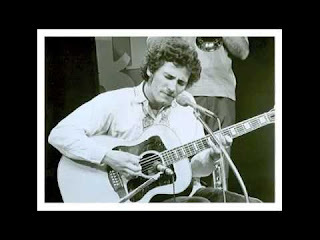 Soft as bubblegum in the hot sun, the song stretches, pulling Buckley’s chiming twelve string in one direction, while slinking away melodically in another. Lorca closes with the churning 'Nobody Walkin,' something similar in construction to 1969’s 'Gypsy Woman'. The song is built around Buckley’s striding acoustic twelve strings, working in conjunction with Carter Collin’s thumping conga grooves. Underwood dresses the track in funky Fender Rhodes, while Buckley scats, raps, wails and moans in his recognizable style. As with the rest the album, this loose organic approach is addicting. The music feels unique from the moment of creation. There is no pretentious artist act going on here, just pure unadulterated music in the form of a heart song. 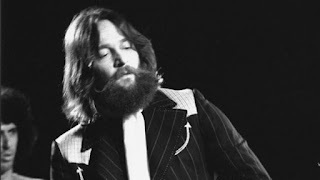 Buckley searches the vocal spectrum, ranging from his guttural quivering moans to glass cutting falsettos, and the album LP fades with his free-form excursions fading to black. Lorca remains a musical snapshot of an artist in flux, a musical genius finding his voice and creating an identity. The record is evidence of Buckley’s refusal to confirm to previously accepted musical forms. 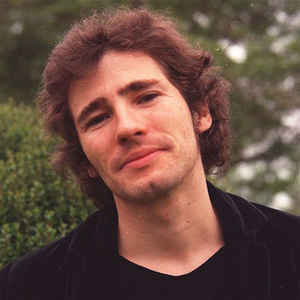 His career would end up leaving the avant-garde experiments developed on Lorca behind, while embracing numerous forms for funk, soul and vocal soundscapes on future releases. But Buckley’s constant searches for greater and stranger ways of expression, in addition to his fearless sonic manipulations, come to full fruition on Lorca. It is a project that captures the best of two musical worlds (folk and avant garde) that Buckley clearly hoped would collide in the grooves of his creations.